Lynne Ferguson releases new album ‘Lo Siento Mi Vida’ feat. Tracy Nelson | Sonic Smash-Music! Lynne Ferguson has released her latest official album, “Lo Siento Mi Vida.” The title track features a performance from fellow blues legend, Tracy Nelson. The album contains 11 Lynne Ferguson tracks for an approximate total listening time of 40 minutes. It has been proudly published as an independent release without the involvement of the corporate music industry on the Zombie Pile record label. 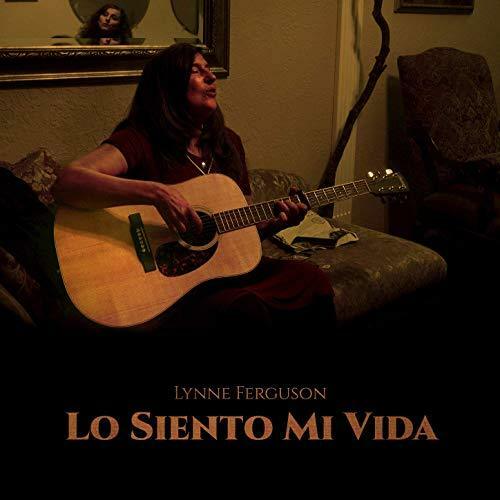 Heartfelt, narrative, and filled with the original folk music spirit, “Lo Siento Mi Vida” showcases Lynne Ferguson as a tried and true singer-songwriter with plenty of stories to tell and a genuine voice with which to tell them. Suquamish, WA’s Lynne Ferguson cites as main artistic influences Ella Fitzgerald, Tracy Nelson, and Mavis Staples. Lynne Ferguson’s own style is likely to appeal to fans of Joan Baez, Judy Collins, Billy Jo Spears, and other founders of the original Americana sound. With an emphasis on traditional song structures, true-to-life themes, and her natural, unassuming vocals, “Lo Siento Mi Vida” by Lynne Ferguson has a little something for everybody. “Lo Siento Mi Vida” is the 17th official release from Lynne Ferguson. It is her most prominent release since her seasonal EP, “Winter Songs,” and popular “Everybody Lies” single which is included on this new LP album (both 2013). Proceeds from “Lo Siento Mi Vida” benefit her Native Horsemanship Youth Program (NHYP) which she founded and directs from her home on the Port Madison Indian Reservation. A bona-fide veteran of folk and country-western music, Lynne Ferguson has been writing and performing music for decades. She has recorded with Mark O’Connor, Jerry Douglas, Eddie Bayers, Clayton Ivey (the Wrecking Crew) and many more. Her career found strong, early support in the form of avid Lynne Ferguson advocate and blues legend, Taj Mahal, with whom she toured as his opening act. “Lo Siento Mi Vida” by Lynne Ferguson on the Zombie Pile label is available from over 600 quality digital music stores online worldwide now. Get in early, folk and country fans. This entry was tagged lo siento mi vida, lynne ferguson, native american folk music, native horsemanship, new great folk music, new legit folk music, new real folk music, tracy nelson, veteran folk singers.